Last week, Michigan State Representative Brandt Iden introduced a new bill that would legalize and regulate online gambling. Iden would like to see Michigan become the fourth state in the US to offer iGaming including poker and casino options. The new bill would allow the state’s existing casinos to obtain licensing to operate online poker and casino gaming. Currently, Michigan is home to three commercial casinos located in the Detroit area and twenty tribal gaming venues. Iden has his work cut out for him and has been busy trying to research online gaming as well as convince fellow lawmakers that Michigan needs to get involved. The Representative visited Western Michigan University and discussed with students what they thought about online gaming. The students said they take part and did not know it was an illegal activity. If online gaming were to be legalized and regulated in the state, it would benefit both the state and consumers. The state would be able to earn revenues based on tax payments and licensing fees while players would be protected with regulations in place on how operations should be completed. According to Iden, technology is changing and businesses must adapt. An online platform is needed at some stage. The Representative feels that online gaming will happen in his state and the conversation of the topic needs to start now. 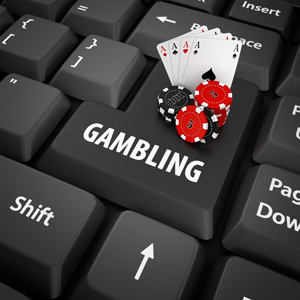 The bill, known as H4926, will see applicants of online gaming paying an application fee up front of $100,000. $200,000 more would be due when licensing is approved and granted. The license will be good for a five-year time frame. A fee of $100,000 will have to be paid each year to keep the license in good standing. The measure has platform providers paying $100,000 in approval fees along with $50,000 each year after being approved to operate in the state. Vendors would need to pay just $5,000 up front and then half that amount each year after. As far as taxes are concerned, the bill has a 15% fee on gross gaming revenues. The bill still has a long way to go to gain approval and become law, but it will be interesting to watch as the measure hopefully makes its way through Michigan Legislature and possibly sees the state become the next to offer online gaming in the US.